We are moving into a disruptive digital world underpinned by rapid advance of technologies and digital economic growth. The digital world is moving very fast. Are we ready to move at this pace? While technologies advance rapidly, Information and Communication Technology (ICT) skill development programmes seem to be moving slowly. In South Africa, youth unemployment stands at 27% due to lack of relevant skills that are in demand in global markets. 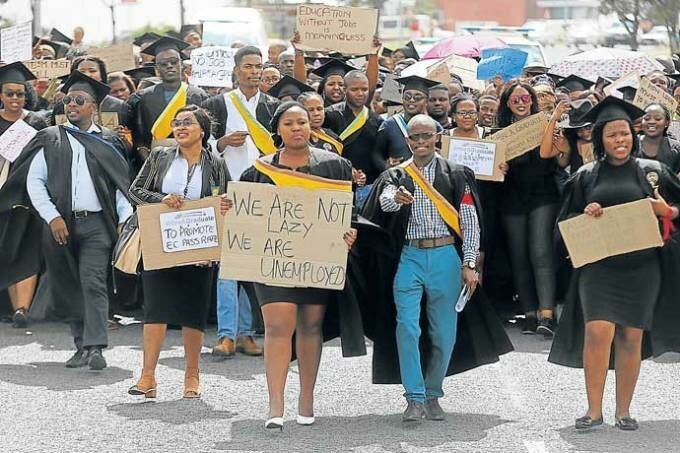 According to stats SA 2018, youth unemployment remains a challenge irrespective of education level. National Youth Policy 2015- 2020, also confirms that South Africa’s high rate of youth unemployment is largely attributed to the skills shortage. It further states that large numbers of young people exited the education system prematurely and possess no technical skills; this is making them effectively unemployable. Universities are failing to prepare graduates for the labour market and entrepreneurship; you will find a marketing/business management graduate looking for jobs instead of utilizing the skills that he/she acquired in University for Digital Marketing and Business Management online consultations. This shows that the situation will be worse as we are heading to the Fourth Industrial Revolution. There are nearly 60% of South Africans who have access to the internet. According to BUSINESS INSIDER South Africa, internet penetration was recorded at 54% in January 2018 (30, 8 million South Africans). A total 29,2 million of the population (51%) access the internet on their mobiles. This shows that the majority of people in this country are online. How do we take advantage of this as an unemployed youth? Technology has the potential of changing lives, improve business and drive economic growth. Research by the International Telecommunication Union (ITU) shows 9a 0% correlation between ICT, INVESTMENT & SOCIO-ECONOMIC DEVELOPMENT. Young people need to take advantage of internet access and equip themselves with free online ICT courses that will enable them to access global markets. E-Commercial transactions and mobile payments are happening everyday throughout the world, therefore security measures will be needed for these transactions. Skills on cyber security are on demand. Big data skills are needed to analyse what is on demand in markets, track digital trends, the effectiveness of digital marketing strategies; so one need to acquire these skills now to get ready for the e-skills revolution. Connectivity networks always require backup and maintenance, this requires network engineers. In SA how many network engineers do we have? Lack of adequate resources and relevant skills in the country will limit us from exploring the digital ecosystem. The department of SMMES, Communications Ministry and Public services need to collaborate with ACTIVATE! Change Drivers network, A! YEP sector to be specific and have an incubation programme that specialises in e-skills development. The world is now going digital therefore; entrepreneurs in South Africa need to transform their business models to meet digitization demands. Switch Social Entrepreneurship Programme, A! SWITCH must facilitate the digital transformation of start-ups& SMMES. Skills development is an urgent matter; therefore it must be prioritized by both public and private stakeholders.